She wrote about visiting the island of Grand Isle, La., where she had been raised, where erosion had chewed away to 10 steps the run from car to water across the beach. During Ramona DeFelice Long’s childhood, it had seemed to stretch forever. Some of the difference, she figured, could be accounted for by considering how her youthful perspective had rendered all worldly things larger than they would seem through an adult’s eyes. But Hurricane Katrina also had wreaked havoc, and the BP oil spill had embedded itself in the Gulf Coast’s living history. Things had changed. She wanted to write about the changes she had noticed while visiting Grand Isle with her own children. Long, whose literary work had made its home in fiction – short stories are her deepest love – found the material worked more as a memoir than as a fictional story, since most of what she was writing was based on her own memories. But she found that being able to do that made her wonder about other people, about how she could expand so as to unshackle herself from the limits of her own memories. Grand Isle is a state park – The Jean Lafitte National Historical Park and Preserve – named for the dastardly pirate who was also the hero of the Battle of New Orleans. Every Louisiana schoolchild learns how Lafitte and his Barataria corsairs made a deal with Andrew Jackson to double-cross the British and save the city during the War of 1812. After the war, President Madison pardoned Lafitte and his men for their piratical misdeeds. Unfortunately, Lafitte moved to Galveston and reverted to his misdeed-doing ways. Still, the state named a park after him lest we forget that, in the right circumstances, even a pirate can prove to be a patriot. When I was a child, Grand Isle was not a state park. It was a day trip. The drive from our house was about forty-five minutes to the bridge and another fifteen minutes to the beach. My two brothers and I rode in the back of my dad’s pickup, wearing swimsuits but no sunscreen, because sunscreen had not been invented, because according to my father, the sun was not as hot then as it is now. We crammed in among ice chests, beach chairs and blankets, a stack of newspaper to ignite the driftwood fire, a couple of garden shovels to dig trenches for war games. We dug them deep because we had never heard the term “shore erosion.” No beach umbrellas despite the brutal heat and sun. First aid consisted of my mother storing a shaker of Adolph’s Meat Tenderizer in the ice chest in case jellyfish were in the water. She introduced nonfictional contextual elements, such as how she had learned in grade school about the Tigris and Euphrates rivers, about how water would carry away land, grain by grain, or build it up. “One of the challenges when you write fiction is that a lot of fiction comes from real life,” says Long, of Newark. “You hear about newspaper stories and you think, Oh, that would make a great story. When you’re a writer, you’re constantly barraged by that. 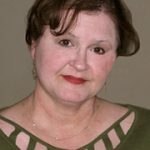 She wrote “Getting to Grand Isle,” her first creative nonfiction piece, in 2009 and published it in the Arkansas Review in 2012. Long, who grew up in the bilingual household of a French-Catholic family but wasn’t taught Cajun French, already had made her name as a practitioner of the short story. In 2001, the Division awarded her a fellowship as an emerging artist in fiction, and in 2009, Long earned another as an established artist. Long also works as an independent editor, specializing in mystery novels, women’s and literary fiction, young-adult and juvenile fiction and memoir and creative nonfiction. She teaches workshops, both in conferences and online, on all aspects of writing. She has continued writing short stories. With the Division’s grant, she hopes to spend three weeks later this year at the Virginia Center for the Creative Arts, where in 2012 the Mid Atlantic Arts Foundation, of Baltimore, awarded her a grant to spend two weeks focused solely on her craft. Long will read from her work on Aug. 24 at the John Dickinson Plantation, in Dover, coupled with a reading by Russell Reece, whom the Division this year cited as an honorable mention among individual artist fellowship winners.